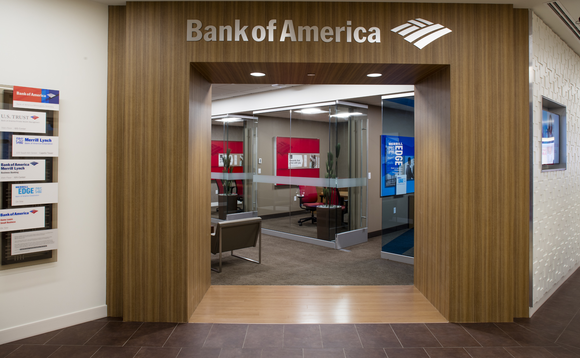 The Global Wealth and Investment Management (GWIM) unit of Bank of America (BofA) posted net income of $1.05bn for the first quarter of 2019, a 14% increase from last year's figure of $922m. The unit, which is made up of wealth management divisions Merrill Global Wealth Management and Bank of America Private Bank, added $41.5bn to its assets under management in the last year, according to its first quarter earnings. The division's total revenue was $4.82bn, down 1% from $4.85bn in the previous year. The bank said that this was due to lower asset management fees, which was the result of "lower market valuations as well as a decline in transactional revenue". Non-interest expense at the unit dipped 4% year-on-year to $3.42bn. The unit added 167 financial advisers throughout the year, posting a total of 17,534 financial advisers at the end of the first quarter of 2019, which is a 1% rise from 17,367 financial advisers it had at the end of the first quarter of 2018. Total numbers for private bankers and financial advisors were up by 247 from 19,276 from the end of the first quarter of 2018 to 19,523 at the end of the first quarter this year. Bank of America, valued at $288bn, is the second biggest lender in the US after JP Morgan, valued at $357bn, which on Friday last week reported the largest ever quarterly profit for a US bank. Higher interest rates allowed the lender to make more money on loans, and last year's corporate tax cut helped it to grow its top-line first quarter profit to $7.3bn even as revenue fell slightly.